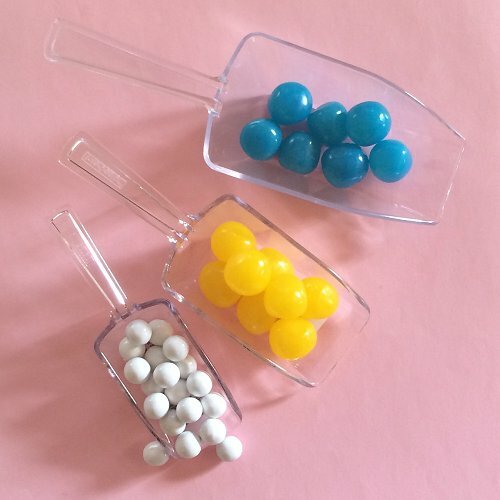 A candy buffet requires functional accessories for everyone to easily help themselves to the sweets. You will need small self-serving containers, scoops and tongs, and candy labels for the glass jars. The size of the container has a direct impact on the amount of candy you will need. Since guests will likely fill their containers to the top, choose small size containers or you will run out of candy very quickly. Use open style containers instead of bag to prevent guests from filling out several bags, and stashing them in their purses for their weekly snacks. Candy bags should only be made available at the end of the reception for guests to full in and bring home. Metal scoops and tongs are not suitable for glass jars. Use plastic material instead to avoid chipping the edges of your glass jars. Make sure that the scoops and tongs are proportionate to the size of your glass jars. 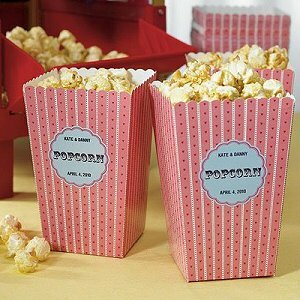 These old-fashioned style popcorn boxes that have been designed with little rows of hearts to send out that love vibe. 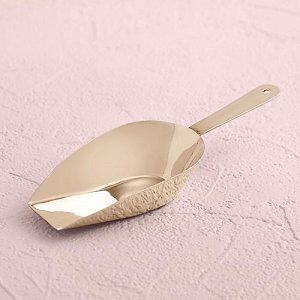 Bottom 2.7" Top 3.9" Height 5.5"
Also available in gold and silver, the scoop made of stainless steel will will work with a variety of containers. 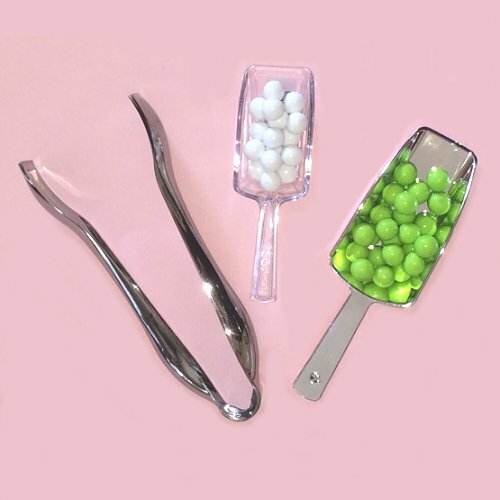 Every candy table needs its scoops! Made of stainless steel, the standard size and shape will work with a variety of containers. 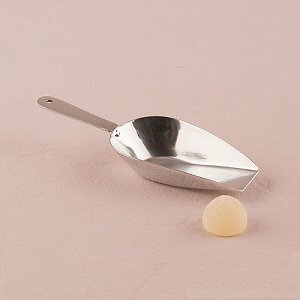 The silver candy scoop is made of stainless steel, and is great for candy bars or dessert tables. 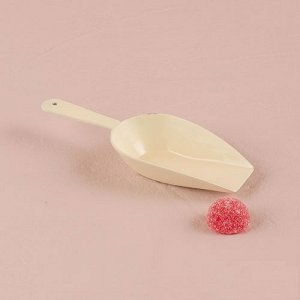 Made of plastic, these sweet table candy scoops won't damage apothecary glass jars. 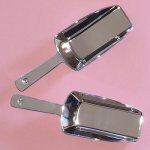 These elegant silver candy scoops are made of plastic and are safe to use with glass jars. 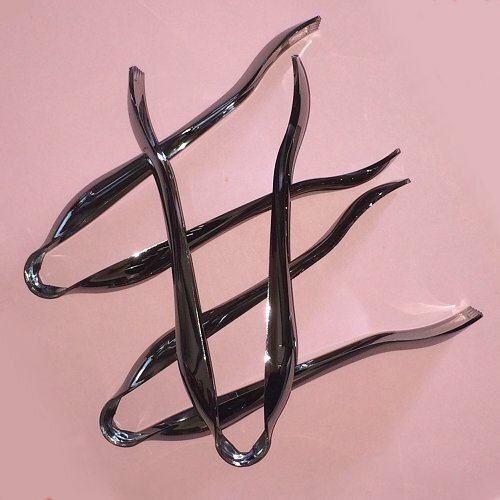 1 5/8" x 5 1/4"
These silver candy tongs are in plastic and are great to pick up gummy candy in glass jars. 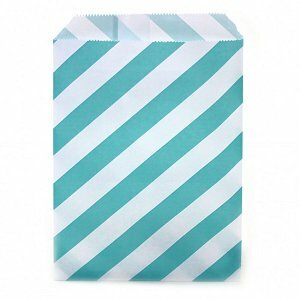 Perfect for candy bars, the striped candy bags are available in vast selection of colours. 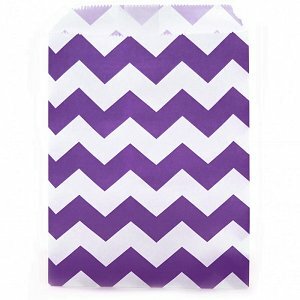 The chevron candy bags are available in vast selection of colours to match the colour of your event.